If office buildings, shops and nursing homes remain vacant for long periods of time, this will provide huge social problems. And these problems are not likely to disappear, since people are increasingly working at home, shopping online, and being cared for in their own homes. To prevent lack of occupancy from undermining the quality of life in towns and villages, expertise and technological knowledge are required in order to give empty buildings renewed economic and social value. Renovating or converting a building for new use is a process that requires a great deal of knowledge. First, the structural properties of a building are investigated. These properties largely determine the renovations to be made. Next, different scenarios are studied to find out which modifications are financially and technically feasible. The programme of requirements is looked into as well. Dwellings, offices, shops, care homes? Or would a mixture of functions be an option? ABT has the knowledge and skills to supervise and execute the entire process, from preliminary study up to and including the planning of maintenance and operations. ABT, in close collaboration with Architekten Cie, extended and modernised the New Amsterdam office building in Amsterdam. To expand the budget for a number of purposes, including renewal of the whole façade, the office building was topped up with one floor. In addition, the ground floor was extended to contain catering facilities, making the building more attractive to tenants. 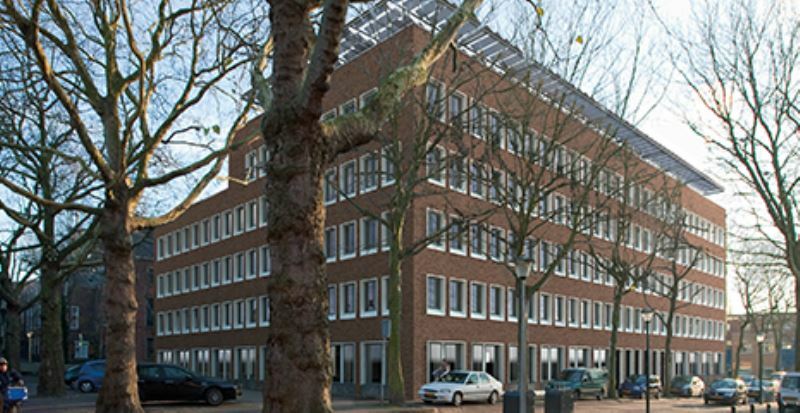 In Vlaardingen, the Netherlands, ABT contributed to the renovation of the municipal offices. The building was completely stripped, after which the skeleton was modified to create space for stairwells, lifts, and MEP systems.